Cloud Altas was a very fun read over Christmas break. This book was originally recommended to me in 2010. It is, in fact, six books in one. In 2012, I went to see the movie, which is directed by the Wachowskis, the same filmaking duo responsible for The Matrix _and _V for Vendetta. Making a movie of Cloud Atlas was a difficult task, since one must create six different movies, each taking place in vastly different settings, without going way over the standard budget for a single film. To keep the production value high required spending a lot of money, which makes it one of the most expensive independent films ever produced. It was also very difficult to mold the six separate plots together in under three hours — I found the six separate story arcs easy to keep track of. It turned out to be the sort of movie that people either loved or hated. Personally, I was very impressed by the movie and consider it the best scifi movie that’s come out in quite a while, possibly since The Matrix (2003). 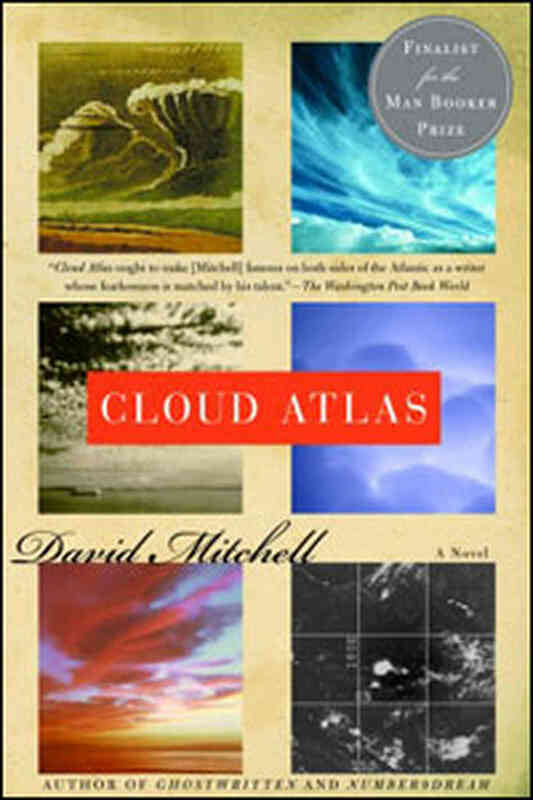 One of the main ideas of Cloud Atlas is show how individuals who are separated by vast intervals of space and time can be connected. To do this, Mitchel takes the reader through six different stories. You start reading the journal of Adam Ewig, an American notary travelling from Australia to California. The first story then abruptly cuts out half way through, and you read the first half of the second story, which takes place 82 years later. By the time you have reached the sixth story, you have read five unresolved stories. In the words of one of the main characters, “A half-read book is a half-finished love affair.” Having to leave five stories unfinished is of course frustrating, but Mitchell also drops a few threads connecting the stories which are fun to pick up on. This book is also chock full of pulp material, so it stays exciting and interesting throughout, making the sudden changes between stories relatively painless. Part of the joy of this book is seeing Mitchel switch between very different writing styles – which is very impressive. The change is narrative voice from story to story is really remarkable. For me, the low point of the book was the first Half Lives _section. The high point was definitely _Sloosha’s Crossin – an intense dystopian colloquial story telling with a lot of fantasy/mythical elements and a tad of scifi. Slosha’s Crossing really draws you in and makes you feel like you are sitting around a fire in a strange dystopian land, listening to a mythical yarn – the kind of story where you cant’ tell exactly how much you can believe. Somewhat surprisingly, really cool connections between the stories emerge during the second half of the book. Without spoiling it, all I can say is that the connections between the narratives are stronger as you jump back in time so the six disparate narratives feel like a continuous thread. As fun and remarkable as this book is, there is one critisism I had while reading it, which is that at times it feels like his points are overstated. For instance, one of the main themes of the book is how at different times in history one group of people marginalized or oppress another, who are seen as fundamentally inferior in some way. Again, without spoiling anything, all I can say is the examples are very different. This theme becomes crystal clear during the first half of the book, but then is overstated at times during the second half. I felt like this point was a bit strained during the Half Lifes narrative and to a lesser extent towards the end. Another thing that irked me a bit was that the idea of reincarnation is subtly endorsed, a suggestion which I found hard to swallow and quite frankly silly, given the otherwise serious nature of the book. Otherwise, the mytho-poetic elements of this book are excellent. This book manages to be both pulpy and page-turning while also waxing deep and philosophical. Overall this was a very fun read.